If over half of your customers are female, why haven’t you taken a moment to think about how to provide for them in a better way? 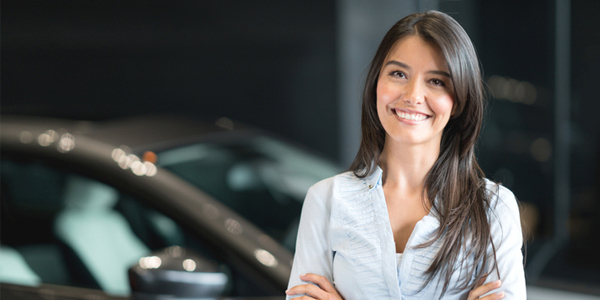 Most women dread, or at least shy away from, all things automotive – especially when it comes to automotive repair. So, let’s flip things around and cater to that customer segment to not only be a well-rounded business, but also elevate the customer experience for your female clientele. Women are typically intimidated when visiting an auto repair shop and feel a bit disoriented if they’ve never been there before. Women’s brains work in a way where they want to feel organized and have everything laid out nice and neatly for them. To help them feel comfortable right away, make sure that appropriate parking and the office entrance are clearly marked so they know exactly what to do and where to go when they arrive at your shop. Is your front office clean? Not like “teenager” clean, we’re talking “the housecleaner just left and everything is sparkling” kind of clean. Everyone who walks into an auto repair shop knows why they’re there. They don’t need pictures of vintage cars or racecars adorning the walls to know where they are. Don’t get me wrong, sweet Lambos and ’64 Caddys are awesome to look at, but if you’ve had the same pictures on your walls for the last 20 years … try something new! Try some abstract art or something with greenery or flowers or even some cityscapes to mix things up and give your shop a different vibe. And for the love of Pete, keep whatever is hanging on the walls straight! Want to tick off your woman at home? Walk around and tilt the hanging pictures, then step back and watch her lose her mind. Also, don’t be afraid to repaint your office. A fresh coat of paint can freshen things up quickly! Pick up some nice potted plants or flowers to add something natural and light to the space. OK, guys … I see you rolling your eyes. But these small changes will make a huge difference to the perception women will have when entering your shop and spending time there. No joke! Make sure your writers take the time to explain the estimating and repair process to your female customers. Oftentimes, a woman will not want to know all the specific details of a repair, but will appreciate someone taking the time to keep them informed. This will make her feel like she’s part of the process and that you care about her. Build that relationship. While a mother is filling out paperwork, there is nothing more maddening than having her child get bored and start acting up. There are a few ways you can help moms out while they’re dropping off or picking up their vehicles. If you have the room, add a small kiddie table with some child-friendly toys. If you don’t have the room for a table and toys, you can offer a coloring page with some crayons or even a toy racecar to play with. If it’s in the budget, you can put your logo on those coloring pages and on that toy racecar for a little take-home marketing item. Shameless plug on your part? Of course! Do it! We have to talk about this. It may not be on your radar, but it needs to be: the bathroom! One thing I learned from the late and oh-so-great Marshall Gluchow was the power of a beautiful, clean bathroom in an auto repair shop. This may seem silly to you, and I understand why. You men get to stand up to use the bathroom and don’t get your “special parts” anywhere near that grimy, constantly running toilet unless it’s an emergency. And even then – you just deal with it. Well, things aren’t the same for females. We HATE gross bathrooms. You can already envision your average shop bathroom without me saying anything. One single light in the ceiling that’s barely lit; an exhaust fan that rattles so much you wonder if it’s about to take flight; a wobbly toilet that never stops running with a ring inside the bowl that’s been there so long it has now created a permanent stain; an empty toilet paper roll with a full roll balancing right on top of it; no paper seat covers or maybe one that’s been ripped in half; a soap container that may or may not have soap inside it (and if there is soap inside, it smells like you just “scrubbed in” for a procedure at the hospital and your hands are now dry as the Sahara Desert). Do I need to go on? The bathroom is one place you can spend some money and make a big change that will positively impact your female customers. Paint that sucker and add some good quality lights such as a light bar over the mirror. Spend the money on some decent hand soap and toilet paper. Keep the bathroom stocked with toilet seat covers, tissue and some air freshener that doesn’t smell like Pine-Sol. Most importantly, clean the bathroom regularly. If you only do the things I just listed, your female clients will love you forever. All in all, customers want good, quality service from people who care. These are some extras you can do to win over your female clientele and make their experience one they remember with a smile on their face.